Booked Colored Compact Business Forms 108TB At Print EZ. Booked Colored Compact Business Forms Item No. 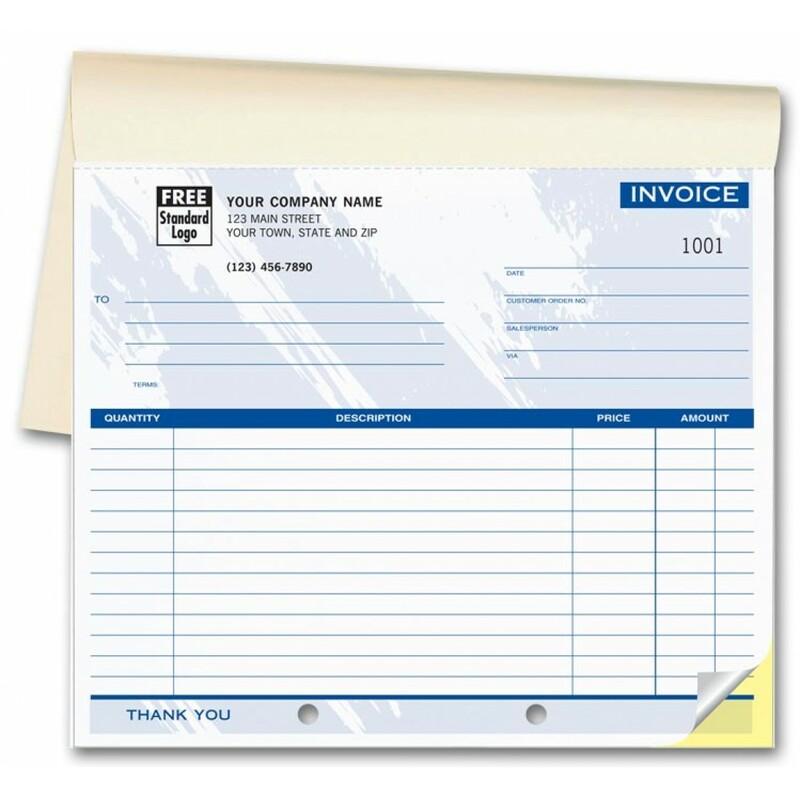 108TB Size: 8 1/2" x 7"
Be it a large firm or a small one, you will find that our booked colored compact business forms are highly suitable for them all. Printed on NCR paper, these forms adopt a format that helps to list out fine details of the sale like the price, the quantity and even the description of the items sold. 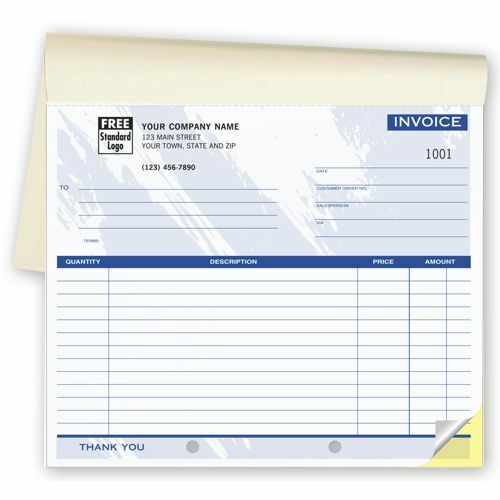 Despite offering a 13 line description option, the form is able to maintain its 7inch by 81/2 inch dimension, which makes it highly suitable for firms where the invoice book needs to be carried around by the sales executives. Choose from a option of blue, green or burgundy backgrounds to distinguish these invoice books according to departments or even regions. These books are easy to use and store. The custom printing looks good.